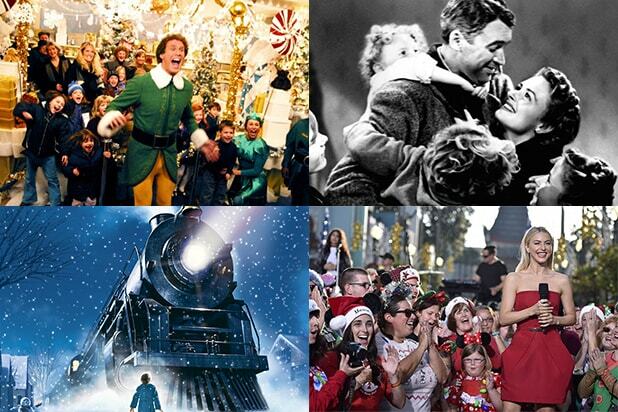 Celebrate Christmas with TheWrap's guide to 24 movies, specials and marathons airing this weekend. 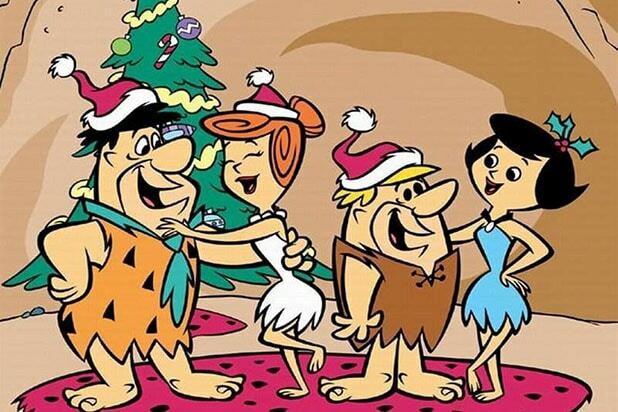 "A Flintstone Christmas"(Saturday at 6 a.m. on Boomerang) Fred Flintstone plays Bedrock's Santa Claus in Hanna-Barbera's 1977 Christmas special. 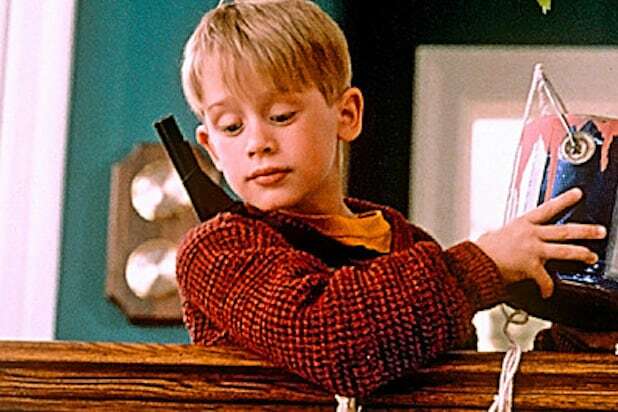 "Home Alone"(Saturday at 10 a.m. on HBO) Macaulay Culkin stars as a neglected child, who must battle home intruders when his parents accidentally leave him behind while they go on a holiday vacation. "Surviving Christmas"(Saturday at 10: 30 a.m. on TBS) Ben Affleck and James Gandolfini's 2004 Christmas comedy was panned by critics, but featured an all-star cast that also included Catherine O'Hara, Christina Applegate and Jennifer Morrison. "A Christmas Melody"(Saturday at 12 p.m. on Hallmark) "Mean Girls" star Lacey Chabert plays high school rivals with Mariah Carey in Hallmark's 2015 original holiday movie. "Four Christmases"(Saturday at 1:30 p.m. on AMC) Reese Witherspoon and Vince Vaughn must visit all four of their divorced parents for Christmas in this 2008 romantic comedy. White House Christmas Tree Lighting(Saturday at 1:45 p.m. on CSPAN) CSPAN will re-broadcast Barack and Michelle Obama's final Christmas tree lighting ceremony in the White House on Christmas Eve. "The Santa Clause"(Saturday at 5:35 p.m. on Freeform) The fine print of a contractual agreement means Tim Allen must become Santa Claus in this pun-inspired holiday film. "Elf"(Saturday at 7:40 p.m. on Freeform) Will Ferrell and Zooey Deschanel star in this holiday movie about a human who must re-adjust to the real world after accidentally spending his life growing up among Santa's elves. "It's a Wonderful Life"(Saturday at 8 p.m. on NBC) Frank Capra's Christmas classic starring Jimmy Stewart turned 70 this year, and will be re-broadcast on NBC on Saturday night. "A Christmas Story" marathon(Saturday at 8 p.m. on TBS/TNT) Both TBS and TNT will air the holiday classic "A Christmas Story," starring Peter Billingsly, back-to-back-to-back on Saturday night. "The Disney Parks' Magical Christmas Celebration"(Sunday at 9 a.m. on ABC) Derek and Julianne Hough host Disney's Christmas Day musical special featuring performances by Alessia Cara, Kelly Clarkson and OneRepublic. "Miracle on 34th Street"(Sunday at 11 a.m. on HBO) The Christmas classic starring Maureen O'Hara, Edmund Gwenn, John Payne and a nine-year-old Natalie Wood won four Academy Awards in 1947, only losing out on Best Picture to "Gentleman's Agreement." "The Loud House"(Sunday at 12 p.m. on Nick) Nickelodeon's popular animated children's series will re-air its half-hour Christmas special at noon on Christmas Day. "The Polar Express"(Sunday at 1:25 p.m. on Freeform) Tom Hanks voices nearly every character in this 2004 adaptation of a classic book, which has since become an infamous demonstration of the "uncanny valley" of animation. "Santa Claus is Comin' to Town" / "The Year Without a Santa Claus"(Sunday at 3:30 p.m. on Freeform) Freeform will air several of Rankin/Bass' beloved stop-motion TV specials this weekend, all featuring the voice of Mickey Rooney as Santa Claus. "National Lampoon's Christmas Vacation"(Sunday at 7:45 p.m. on Freeform) Chevy Chase stars in the third, holiday-themed installment of National Lampoon's "Vacation" film series from writer John Hughes. "Christmas With the Kranks"(Sunday at 9 p.m. on Lifetime) Tim Allen and Jamie Lee Curtis play a couple who decide to pass on the Christmas festivities for the year because their kids are out of town. "Inside Out"(Monday at 9:10 a.m. on Starz) Most of the Christmas-themed programming comes to an end by Monday, Dec. 26, but there is still plenty to watch on TV, including Pixar's universally acclaimed 2015 feature "Inside Out." "Crazy, Stupid, Love. "(Monday at 10 a.m. on MTV) Ryan Gosling plays a ladies man who must teach a recently divorced Steve Carell how to pick up women in Dan Fogelman's 2011 romantic comedy, which also stars Emma Stone and Julianne Moore. "Brooklyn"(Monday at 3:20 p.m. on HBO) John Crowley and Nick Hornby's period drama starring Saoirse Ronan won critical raves when it premiered at the Sundance Film Festival last year. "Pacific Rim"(Monday at 5:15 p.m. on TNT) Giant robots must battle giant monsters in Guillermo del Toro's 2013 sci-fi flick starring Charlie Hunnam and Idris Elba. "Happy New Year, Charlie Brown" / "Rudolph's Shiny New Year"(Monday at 8 p.m. on ABC) Get in the spirit for 2017 when ABC airs back-to-back New Year's specials on Monday night, including a "Peanuts" classic and a stop-motion holiday mash-up.